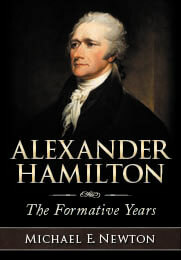 In researching the life of Alexander Hamilton, his friends, family, and colleagues, I frequently find interesting and unusual items that have absolutely nothing to do with Hamilton, which I often share on my Twitter and Facebook feeds. I recently found some cool items that I thought would be worthwhile to share here on the blog, so I’ll share these along with a selection of other items I have found over the years. Unfortunately, I don’t keep a list of interesting but irrelevant items, so I’m relying largely on memory and some scattered notes I’ve taken to bring you these items. Here is a rendering (ca. 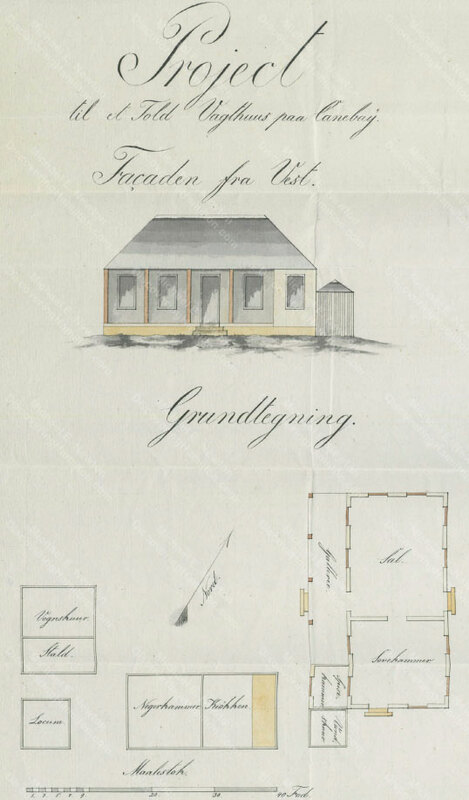 1760s or 1770s) of a house drawn by Julius von Rohr. 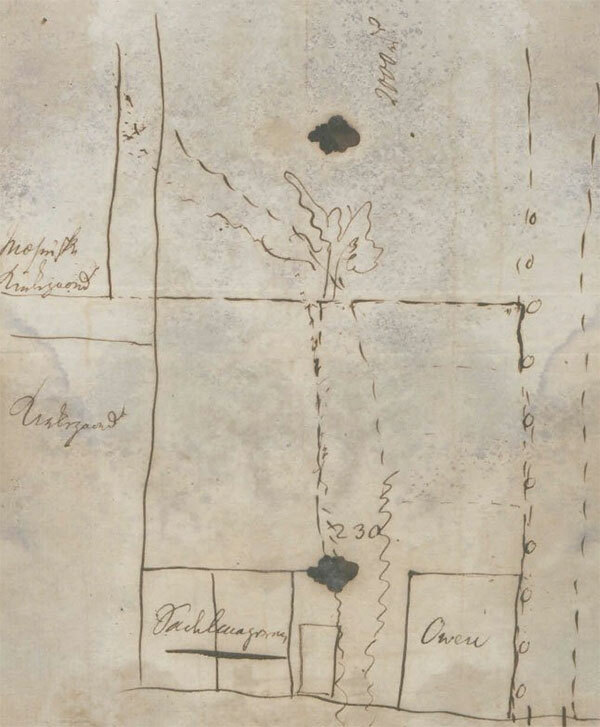 From what I could tell from the text on this page and the surrounding material, there is no mention of whether this was a plan for a house to be built or one already built or where this house was or would be located. 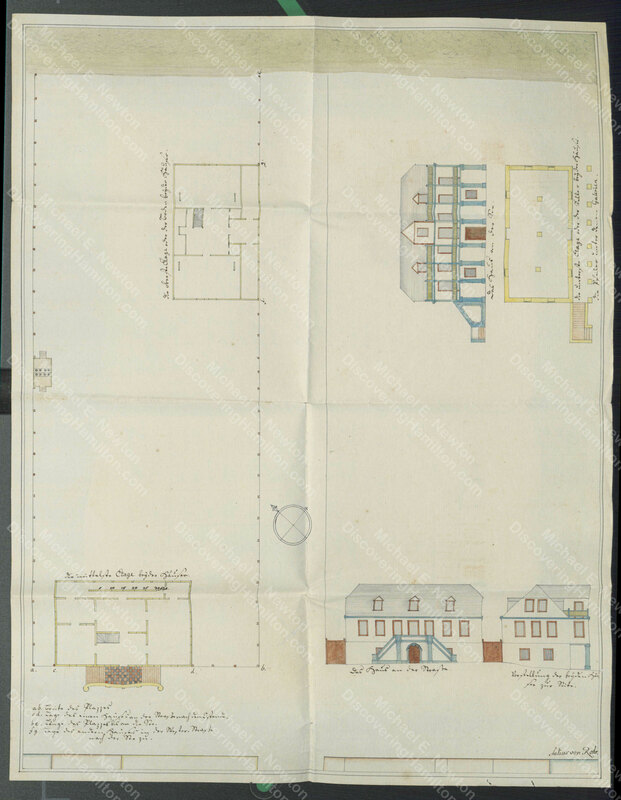 Here’s a rendering for a “project to [for] a customs guardhouse of Canebay [St. Croix],” including the “facade from [the] West” and some floor plans. 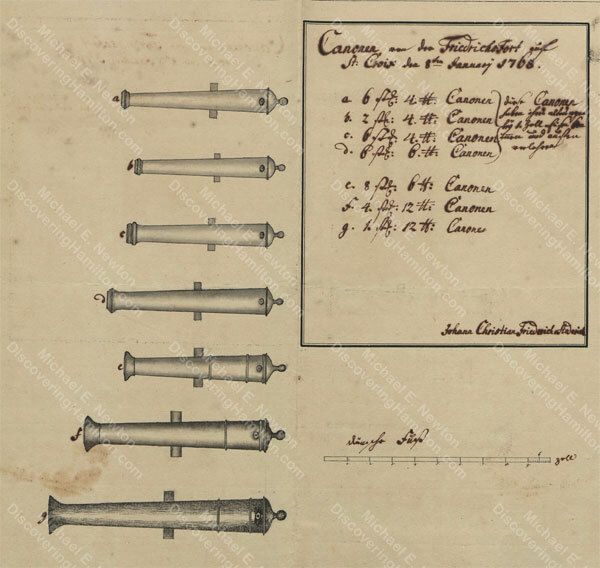 In 1768, an inventory was taken of the cannons of Frederiksfort and Fort Christiansvaern, both of St. Croix. 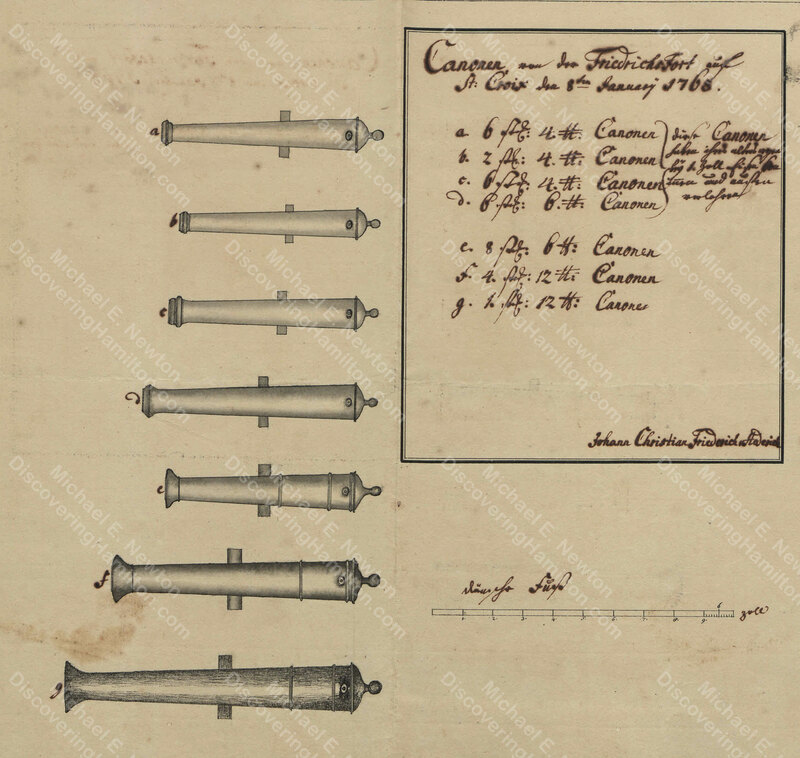 The sizes, types, and counts of the cannon were accompanied by drawings of these armaments. 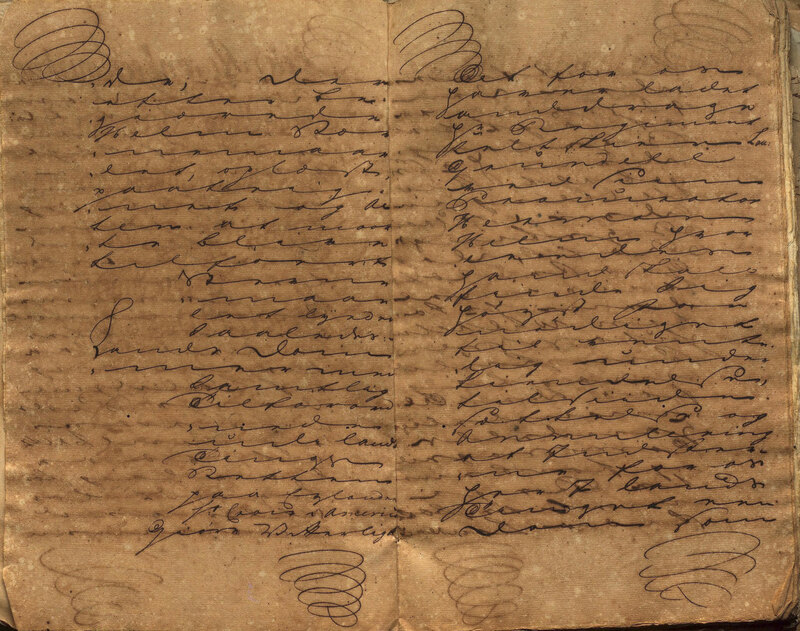 Letters and other documents often have seals or stamps to verify their authenticity. 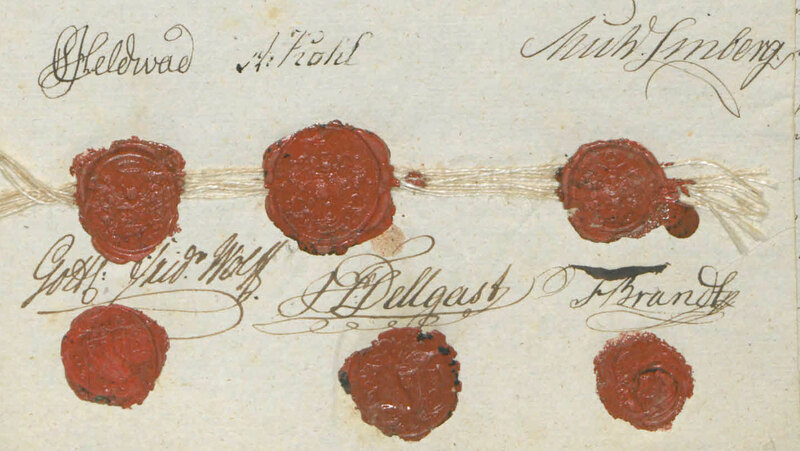 Of course, seals are commonly found in the archives, but as you can see it is often difficult to discern their design and nearly impossible to make out the details. 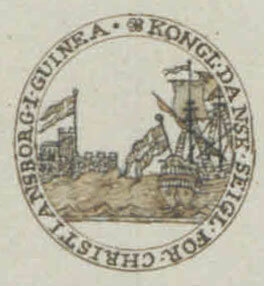 The archives of St. Croix are filled with maps, drawings, stamps, seals, brands, etc. Elizabeth Taylor, Margaret Mitchell, John Watson, and John Williams may be famous today, but I assume these individuals were less well known back in the 1700s. And let’s not forget everyone’s favorite house elf: Dobby! 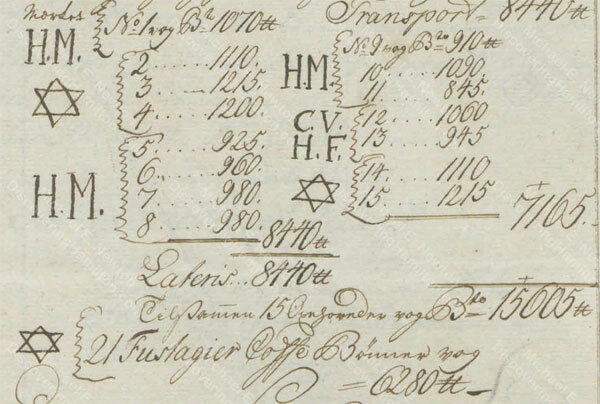 When I first happened upon Andreas Christian Faith, I thought there must be some sort of error. Perhaps his last name was misspelled, but it turns out that in record after record, and in his signature, this was the person’s name. Although none of the three names this person had was uncommon, who would name their child Andreas Christian when their last name was Faith? 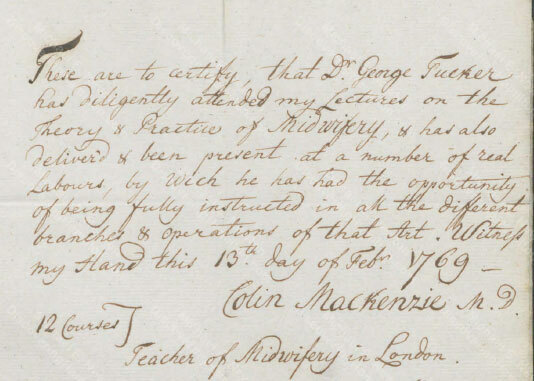 People today would probably avoid such a name, but perhaps this man’s parents wanted to show their religious fervor by having Christian Faith in his name. The fact that this man, as an adult, chose to use his middle name shows that he too readily accepted this somewhat peculiar name. This name sure is interesting if only for its length. Any reader of this blog or follower of my Twitter and Facebook feeds knows that I often complain about bad handwriting. Ten points to anyone who can tell me what this says (unless you’ve already played this game on Facebook or Twitter). Hint: It’s two digits. Sometimes an item is written legibly but misspellings or poor translations lead to something ludicrous. Here’s another example of something common that has a very different connotation today. Of course, Flintesteene just means flint stone or flint stones, which had many uses including as tools, for flintlocks, and as building material. But today, when one sees the words “flintesteene” or “flint stone,” one’s thoughts obviously turn to a certain cartoon family. I’m not sure whether the job of a “cartüner” was to tune cars or to draw cartoons. Who is interested in a little adventure? Here’s your chance. And there’s no better place for adventure than Dublin, Ireland! This is another example of how context is everything. This was not some sort of travel adventure. Rather, the Adventure was a ship heading to Dublin. Many plantations of St. Croix have interesting names. We all know about the Grange, where Hamilton’s mother is buried. Other well-known plantations include Golden Hill, Little Princess, La Grange, Catharine’s Rest, and Judith’s Fancy. But my favorite plantation name has to be Wheel of Fortune, which is now the name of a neighborhood in St. Croix. 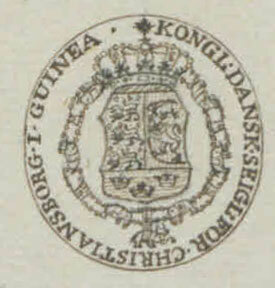 Important people from all over the world occasionally appear in the records of St. Croix. 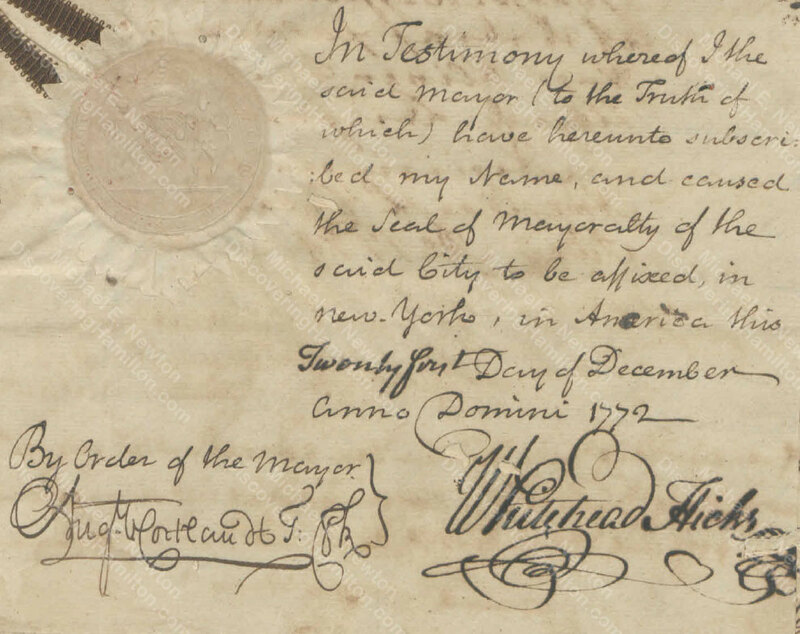 Here is the signature of Whitehead Hicks, the mayor of New York City from 1766 to 1776. Such testimonials from mayors and other leading government officials are commonly found in the records, as they were used to prove one’s identity when trying, for instance, to declare themselves an heir and collect an inheritance. Speaking of testimonials, the legal records of St. Croix are full of depositions regarding feuds between two or more individuals. Such disputes often involved name calling, which occasionally led to duels or even murders. 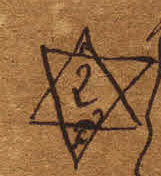 Earlier I asked you to identify two digits I found in a record. 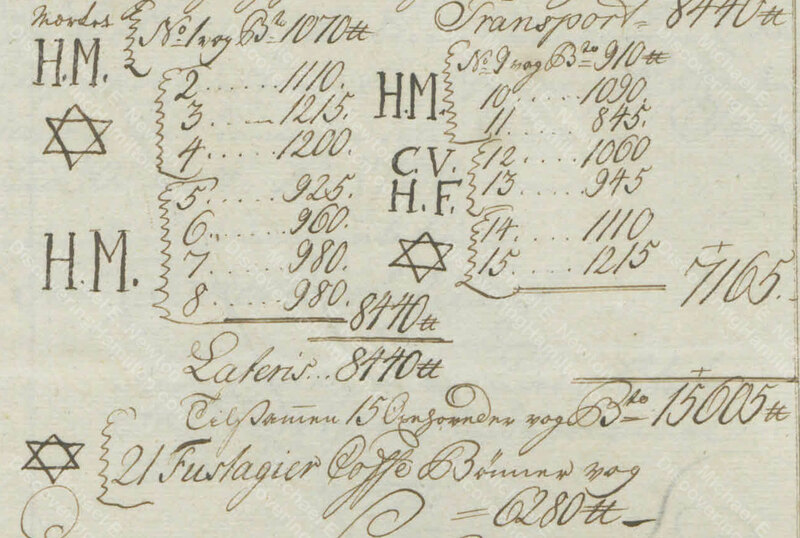 If it’s not yet obvious, this says 1805. Perhaps you’ll recall that I previously wrote about the sideways number eight. 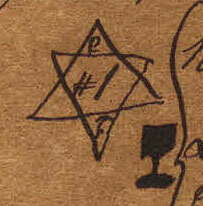 That weird looking “1” can also be seen in other documents I’ve written about. 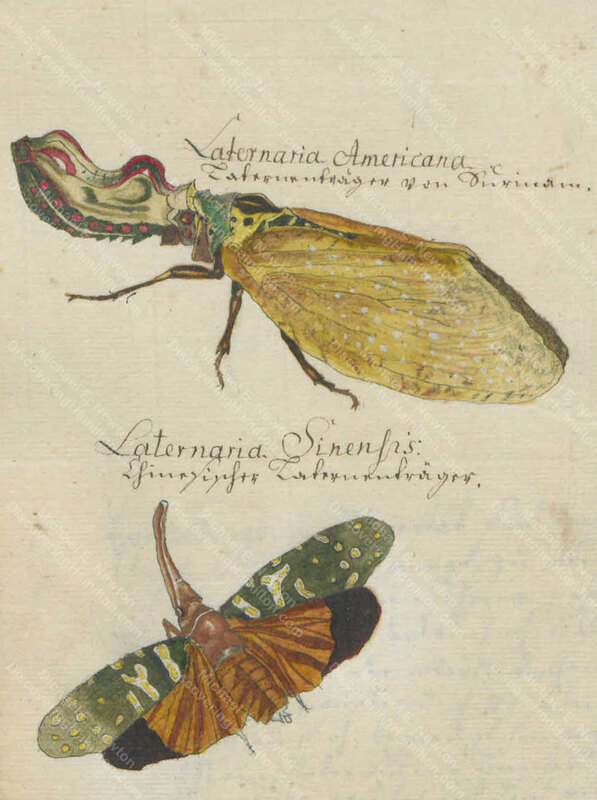 This is just a small sample of the interesting and unusual items I have seen in the records of St. Croix. I will continue to share such items on my Twitter and Facebook feeds as I come across them. Perhaps I’ll share them in another blog post, eventually, though I normally don’t keep records of these unimportant items and thus would be unable to share them. © Posted on January 7, 2019, by Michael E. Newton. Please cite this blog post when writing about these new discoveries.